[*]Only 32bit version supported. M$ recommends using 32 over 64 bit. Changed adapt field logic. Takes also note of font size! 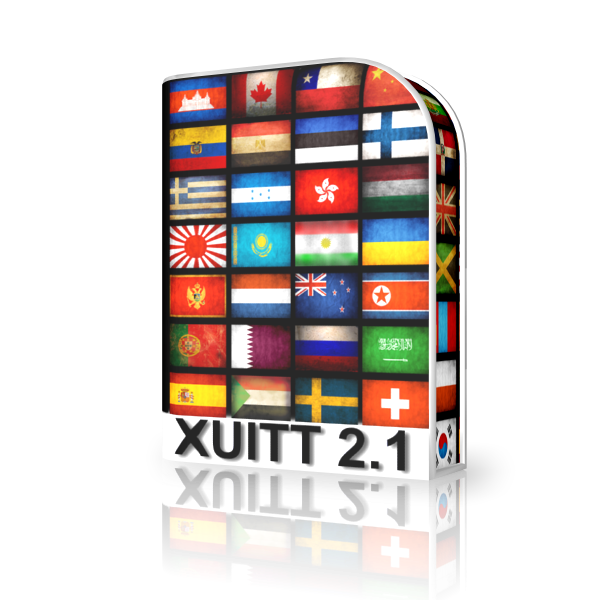 XUITT - XUI translation tool - offers an alternate method to translate FSD2/3 skins. [*]Export used translation as xlsx -> share it with other translators! Use bug report mail system, thanks! Use this file if you would like to translate the tutorial into your language. I'll upload and include your translation in the above video. I would like to start it and to make translation using a unicode! we waited long ago unicode support. Thanks a lot, will be cool! First beta released. Please report any bugs you encounter here. Thanks. I have no access to file editing! Sent inquiry! Thanks! downloaded we start to translate. Hi. Thanks for the app. I tried to install it on Win 7 32-bits and Win XP (32 bits also) and cannot start it. It gives an error that "The expression you entered has a function name that ..::XUIT ::.. can't find". I assumed that is the case if I haven't installed the SP1 Access 2010 runtime (although I have Office 2010 installed, with Access 2010 also installed). When I try to run the SP1 update for runtimes (the ones in the first link), it says that "The expected version of the product is not found on the system". You should see Access 2010 SP1 on top. Thanks Sindyrello for your translation. I'll update the ribbon and include Russian as language. Exactly for this purpose we translated three together, comparing grammar and accuracy of translation! Great thanks! I'll update XUITT tomorrow with your GUI and send you the link and some instructions to verify it. I've included some explanations in english for the How to translate video tutorial. You'll find the srt file and more infos in the first post. We will translate the file of subtitles .srt ! I'm without doubt sure that the systems are 32-bits, as I've installed them both. Also, Access 2010 is the English version. In "Additional Version and Copyright Information" is Office 2010 without any specification of SP1. Fixed translation and sended in PM! Thanks Sindyrello & rip88 for your updated translations.